it will bring a revolution to your body. capabilities is the key to becoming the world’s best. EMS is an important factor in achieving that improvement. Outstanding performance is the result of daily training. It isn’t magic. It’s persistence. I’ve always said to myself that consistent effort to improve my capabilities is the key to becoming the world’s best. Outstanding performance is the result of daily training. It isn’t magic. It’s persistence. Proven by global authorities in sports medicine. 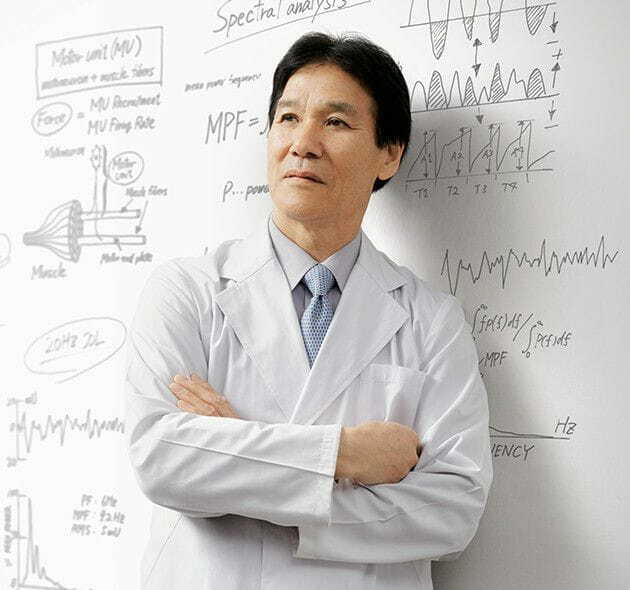 Toshio Moritani is a driving authority in the field of sports science and has been doing research on the training effects of EMS for over 40 years. 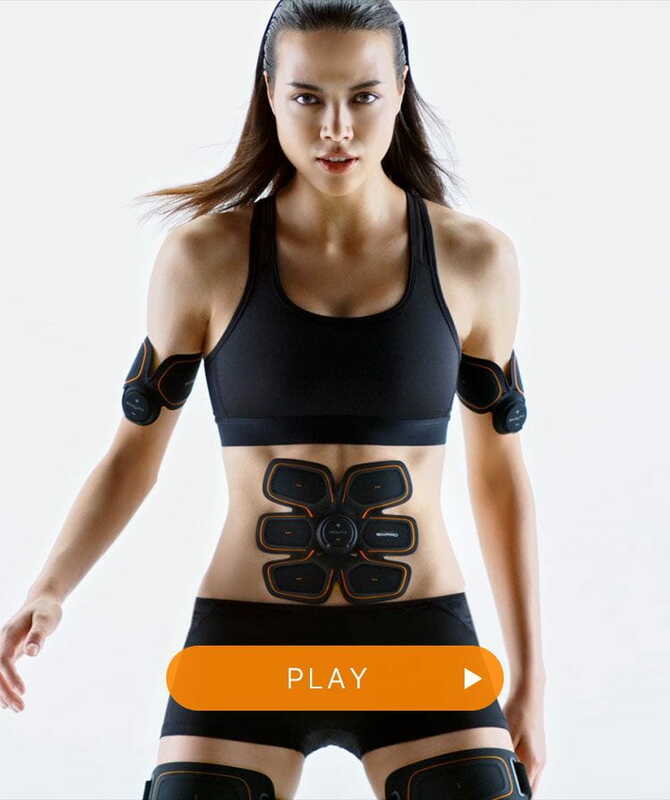 The various EMS devices available in the market are set at a variety of frequencies, but Moritani focused on the mechanism of muscle development and discovered that effective training of the muscles is achieved at a frequency of 20 Hz. A revolution in EMS devices. Introducing SIXPAD’s unique CMM Pulse. The EMS theory described by Toshio Moritani, who discovered that the 20 Hz frequency is the most effective in training; MTG's development prowess in solving the pain issue that is associated with low frequencies, through their proprietary waveform; and Cristiano Ronaldo’s training method. The result of the synergy of these three elements is the CMM Pulse core technology, making SIXPAD a revolution in EMS training gear. ＊CMM Pulse is a registered trademark of MTG. to control your device and visualise your progress. Train, rest, and train again. The 23-minute automatic programme calculated for efficiency. The training programme, designed under the supervision of Toshio Moritani and Cristiano Ronaldo, is 23 minutes overall. Exercise intensity increases gradually over time, and the programme changes automatically from warm up to training and cool down. Once the programme is completed, the power switches off automatically. The only thing you have to do is push the Start button. 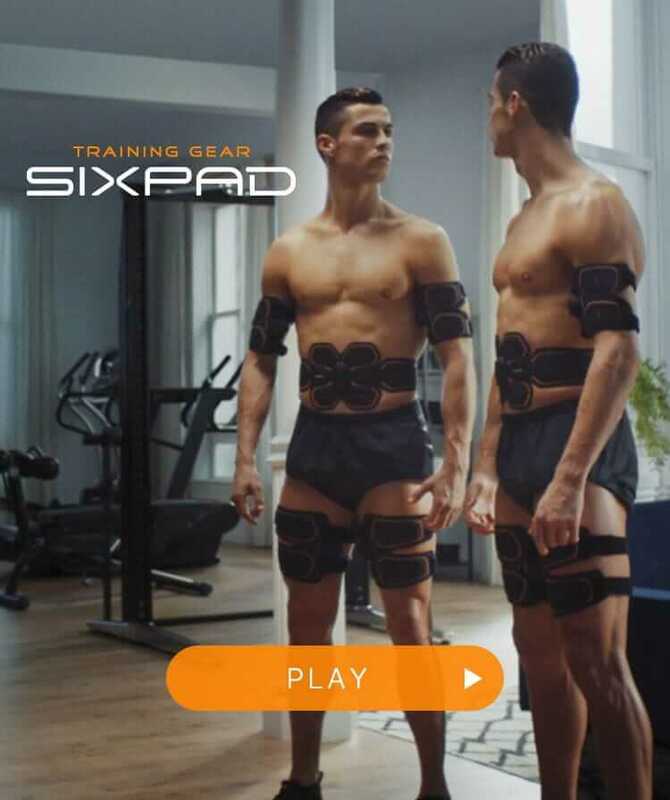 Turn your everyday actions including walking, running, climbing stairs, lifting, sitting and standing into healthy training exercises with the SIXPAD Training Suit. For wearing comfort, the suit uses a fabric that fits snugly to the skin, and is designed to effectively develop targeted muscles. While wearing the training suit, your everyday natural actions encounter a moderate amount of resistance to increase your muscle activity. No matter how busy your schedule is every day, you can begin a healthy workout just by wearing the SIXPAD Training Suit.